Timothy M. Gunn (born July 29, 1953) is an American fashion consultant and television personality. He was on the faculty of Parsons The New School for Design from 1982 to 2007 and was chair of fashion design at the school from August 2000 to March 2007, after which he joined Liz Claiborne as its chief creative officer. He is well-known as on-air mentor to designers on the reality television program Project Runway. 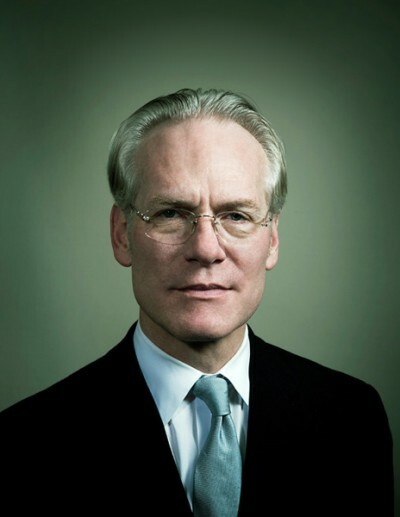 Gunn's popularity on Project Runway led to his spin-off show, Bravo's Tim Gunn's Guide to Style, as well as his book A Guide to Quality, Taste and Style. Gunn was born and raised in Washington, D.C. His father, George William Gunn, was an FBI agent during the administration of FBI Director J. Edgar Hoover. Gunn was a championship swimmer throughout high school, and later attended the Corcoran College of Art and Design, receiving a BFA in sculpture. Gunn came to Parsons in 1982 and served as associate dean from 1989–2000, becoming a department chair in August 2000. He was credited with "retooling and invigorating the curriculum for the 21st century". Gunn began appearing on Project Runway during its first season in 2004, and is known for his catchphrases "Talk to me", "This worries me", "Thank you, Mood" "Make it work", "Carry on", and "Go, go go!" Tim Gunn's Guide to Style, a reality show in which Gunn gives advice to the fashion-challenged, debuted in September 2007 on the Bravo television network. Gunn also played a version of himself as a reporter for the fictional Fashion TV in two episodes of ABC's Ugly Betty in February 2007 and later guest starred on Drop Dead Diva in August 2009 as himself. Gunn joined Liz Claiborne as the company's chief creative officer in March 2007. In April 2007, Abrams Image Publishers released Gunn's book A Guide to Quality, Taste and Style, co-written with Kate Moloney. While on tour in Palm Springs, California, the nearby city of Palm Desert honored him with an official resolution declaring April 27, 2007 (the day of his visit) "Timothy M. Gunn Day". He was also presented with a certificate by the city of Palm Springs and a plaque by the nearby city of Rancho Mirage in recognition of his career achievements. While promoting the book in the San Francisco Bay Area in May 2007, Gunn joined the judging panel of Project FiveFour 07, to judge gowns designed by 12 students from San Francisco's Fashion Institute of Design & Merchandising. The competition benefited The Princess Project, a Bay Area charity that gives free prom dresses to high school students who can't afford to buy them on their own. In May 2009, Gunn served as commencement speaker at the Corcoran College of Art and Design, and received an honorary doctorate from the institution. Gunn will guest star as a tailor on the 100th episode of How I Met Your Mother. In August 2007, "Tim Gunn's Podcast (a reality chamber opera)" by Jeffrey Lependorf premiered at the Cornelia Street Cafe in New York City. It received its first run one year later at New York International Fringe Festival. Gunn appeared in a backup story in the first issue of Models Inc., a fashion-themed comic book miniseries published by Marvel Comics that debuted in September 2009 to coincide with New York City's style showcase. Gunn appeared on a variant cover of the issue illustrated by Phil Jimenez. 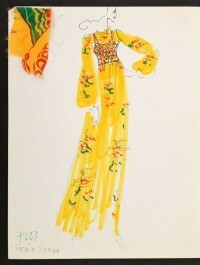 In the series, which is written by Project Runway fan Mark Sumerak and illustrated by Jimenez, Gunn dons the Iron Man armor to foil an attack against the New York Fashion Museum. Gunn lives in New York City and is openly gay. In a 2006 interview with Instinct, Gunn stated that he had not been in a relationship since the early 1980s, following the abrupt end of a six-year relationship, and that he still loves his former partner, though they are not in touch. Gunn is an outspoken critic of clothing designs using animal fur. In 2008, he narrated a video about rabbit fur farming in China for animal rights group PETA. He termed the treatment of animals used for fur as "egregiously irresponsible".